After trying to shoo them off of fabric pieces, retrieving scissors they swiped onto the floor, and flicking at paws that batted at my moving thread, I finally got out my camera. Gotta be right there in my face. 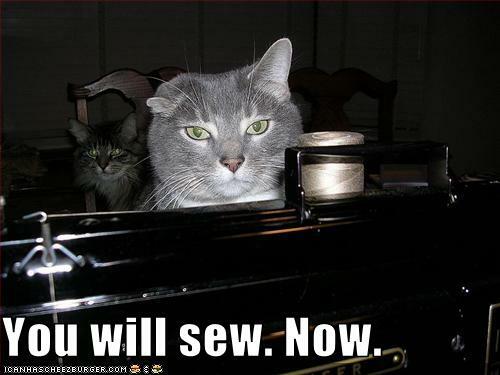 😉 They’re lucky they didn’t get sewn into the quilt top LOL! 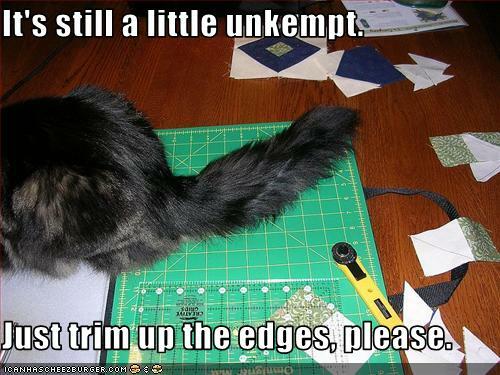 My cats do that when I start doing any type of beadwork lol. 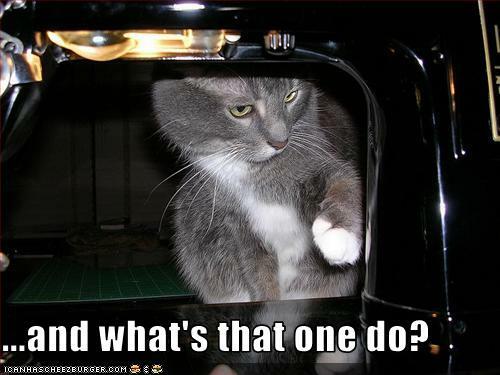 I am jealous though…I can’t find my sewing machine at all :(. I hope you find your machine!